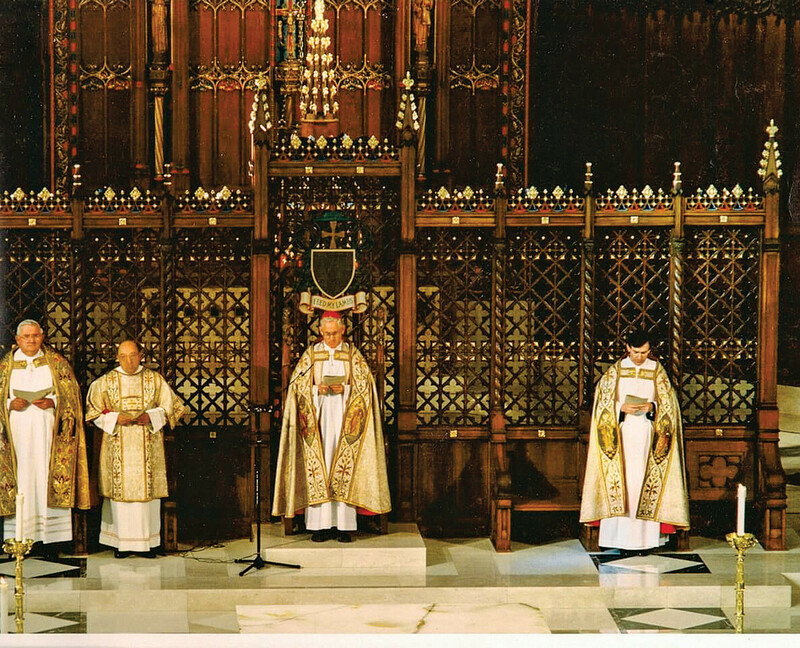 We asked several woodcarvers and woodworkers to tell us all the details about their favorite ecclesiastical projects. Here’s what they said. Master carver Ian Agrell started carving in 1961 and opened his full-service, family-run office, Agrell Architectural Carving, in 1978. The firm now has offices in San Rafael, CA, and the UK, and 25 employees, including his daughter, Kate, who is the project manager, and Master Carver Adam Thorpe, who serves as a design consultant. 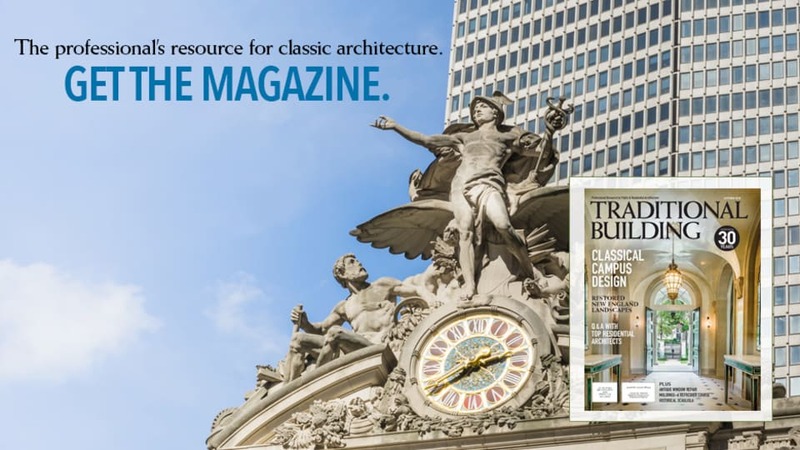 It specializes in large architectural carving projects, millwork and organ cases. 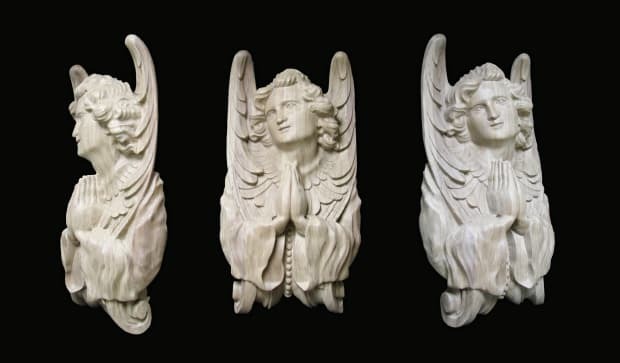 This angel is one of many religious pieces carved by Agrell Architectural Carving. One project that was a big challenge was at St. Paul’s, where the massive size of the organ case—60 feet wide, 20 feet deep and 40 feet high—meant that Agrell had to work out a way to construct the sections so they could be lifted up 30 feet to the platform and installed in a tight space. “With help from a local scaffolding firm and being sailors from the San Francisco Bay Area, we used our skills and knowledge of rigging and winches to lift and turn these large elements,” says Agrell. Enkeboll Designs, in Carson, CA, was established in the 1950s as a furniture manufacturer. 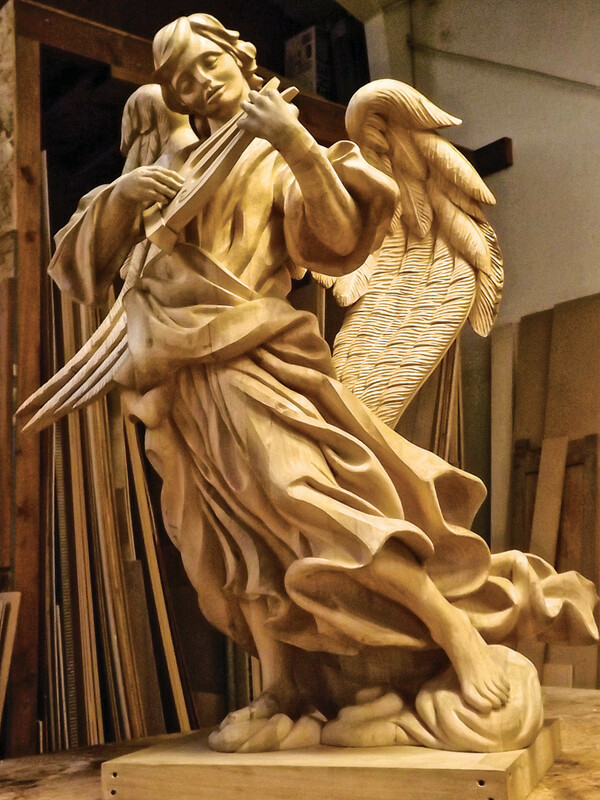 The family-owned business shifted to architectural wood carvings in the mid-1980s and the company now offers more than 1,000 solid-wood, machine-carved architectural components, from corbels to mantels to moldings and appliques, in a variety of wood species. The firm also does custom work. 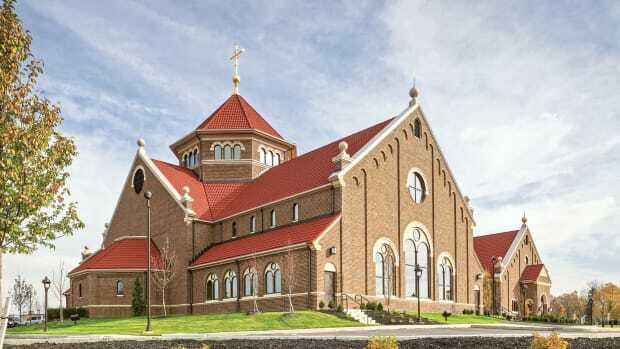 It has supplied components to a variety of churches, including Latter-Day Saints temples in Fiji, Utah, Peru and Rome and various Roman Catholic and Protestant churches across the United States. Another firm, Heritage Restoration and Design of Peoria, IL, is a 200-year-old family design-restoration-preservation business that applies old-world knowledge and techniques, which have been passed down through its six generations, to its projects. 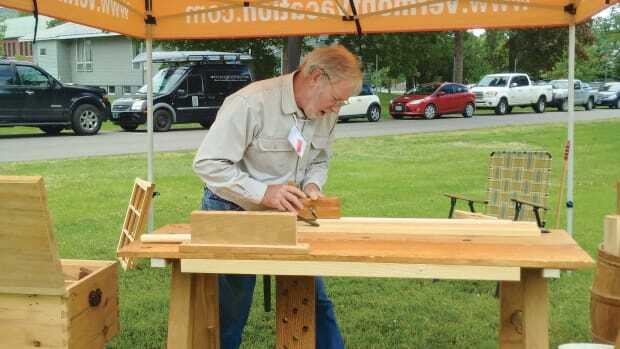 The 12 members of the production team hand-carve and hand-tool church furniture, millwork and moldings. The company also makes marble statuary and marble furniture and stained-glass windows. It does plaster restoration, painting, marbleizing, wood graining, gold detailing and creates decorative molding, custom canvas murals and wall mosaics. 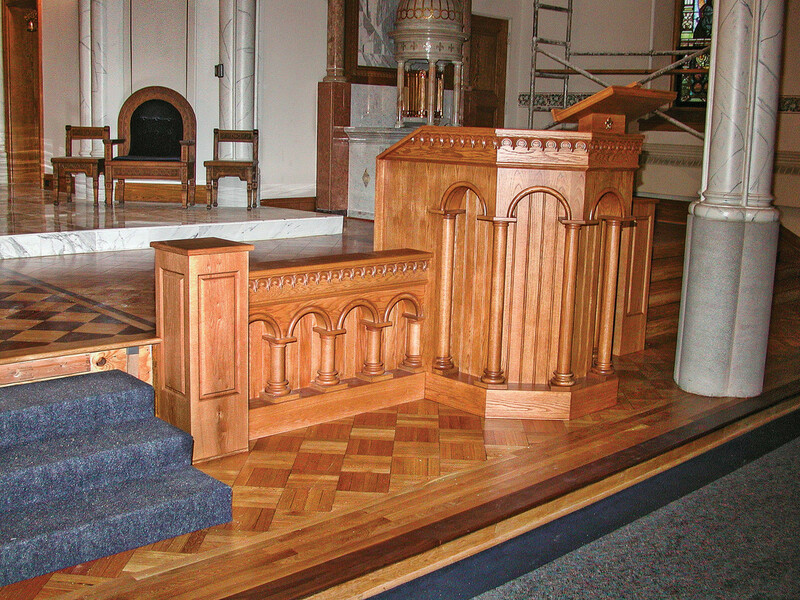 The intricate railing that Heritage Restoration and Design made for the Cathedral of St. Mary in Fargo, ND, was challenging because it had to be designed to fit around the pulpit. 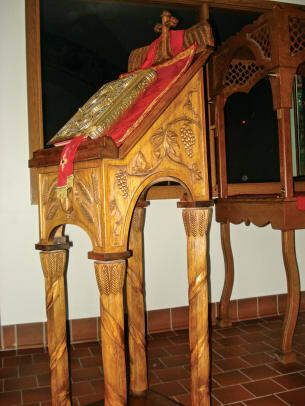 The wood species was white oak and the design was in the Roman arch style, and individual pieces had to be assembled by hand. It was about 40 feet across, and there were 10 individual wood pieces in every foot. It was made more difficult by the fact that the rail system was interrupted by the pulpit. “We built it over a five-week period. 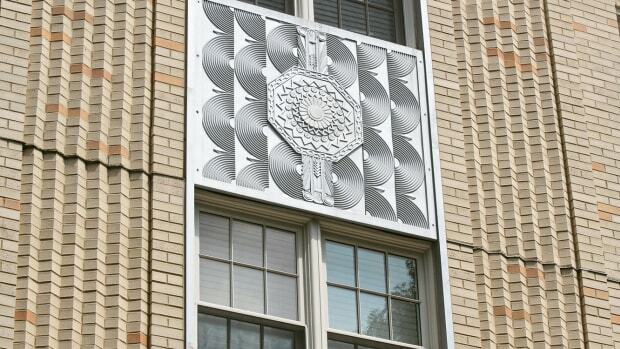 It took another two weeks to finish and two more weeks to install,” says Berlinger. 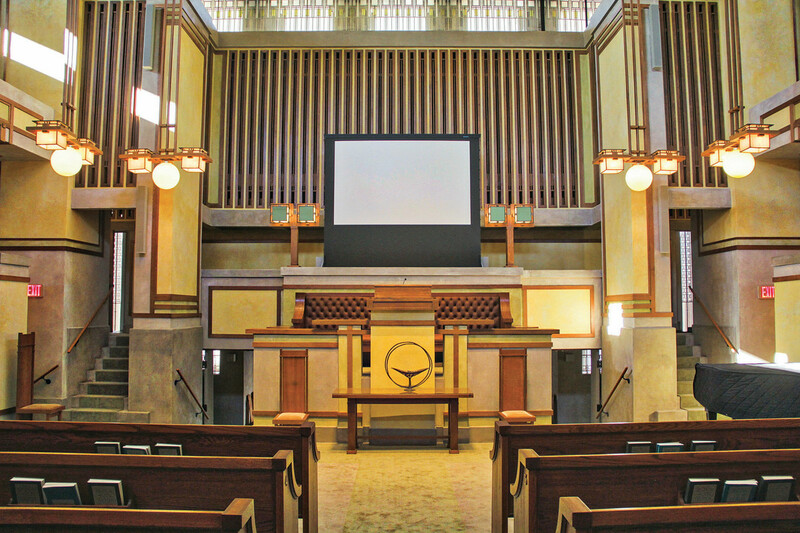 He adds that the firm has recently completed work at Frank Lloyd Wright’s Unity Temple in Oak Park, IL. 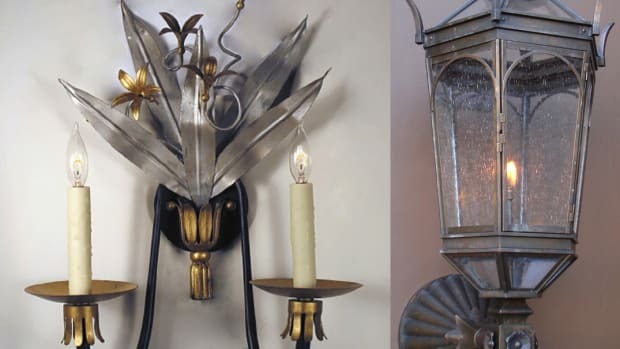 “We just finished a two-year project stripping and refinishing all the woodwork, doors, moldings, pews, wooden chandeliers and wooden wall sconces at the temple,” he says. 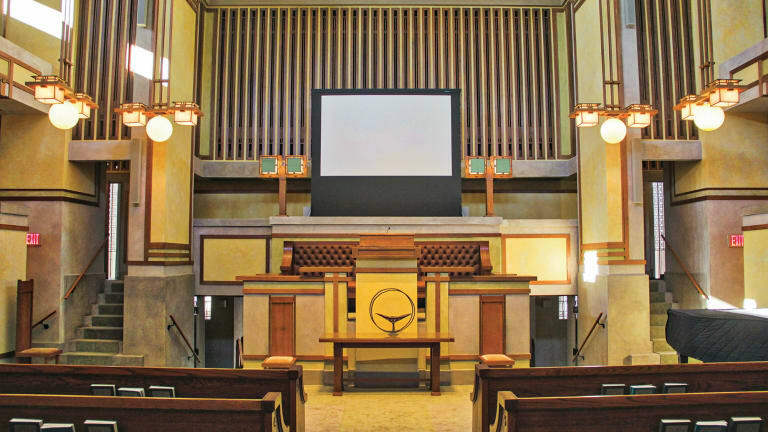 Heritage Restoration and Design spent two years stripping and refinishing all the wooden elements Frank Lloyd Wright’s 1908 Unity Temple in Oak Park, IL. “This project is exactly the type we love to do because it’s complex, it’s historic and it’s preserving the church for the next generation,” Berlinger points out. Dimitrios Klitsas, Fine Wood Sculptor, of Hampden, MA, consists of Dimitrios Klitsas and his son, Spiro. They specialize in hand-carved furniture and every type and style of architectural ornament. “I’m particularly proud of the work I’ve done for St. Luke’s Greek Orthodox Church in East Longmeadow, Massachusetts because that’s where I worship. I did all the carving and built pretty much all of the furniture,” he adds. 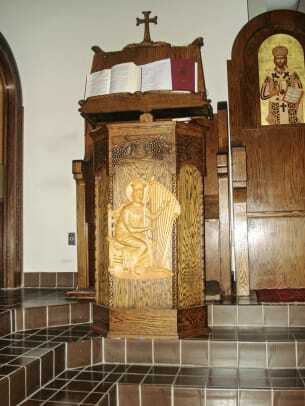 The oak stand depicts the vine and grapes. The bas relief depicts King David, the composer of the Psalms, with his harp. “I carved this from a two-inch-thick slab of contrasting basswood that is secured from the inside with screws,” says Klitsas.